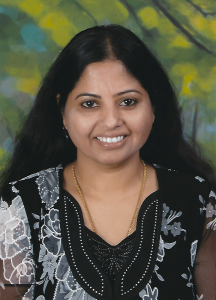 Manjula Vedala graduated with an MBA from Texas Wesleyan University, Fort Worth, TX. Prior to starting her own business, she worked for marketing & accounting companies and ran a child care center. Her greatest strengths are her creativity, drive and leadership. She thrives on challenges, particularly those that expand her reach. She has excellent communication & interpersonal skills and loves working with kids. She was on the board of directors for Ishta Foundation, a non-profit organization which provides clothes & books to under privileged kids. She is a member of the National Association for the Education of Young Children (NAEYC). Manjula and her husband have lived in Dallas for nearly two decades. They have two daughters. Christy Findlay is a mother of four and grandmother to two. Born in Texas, she’s worked in the childcare field since 1999. Christy has a dual BA in Psychology/Child Development and an MS in Clinical Mental Health Counseling. Christy says she enjoys “every aspect of teaching children while also partnering with parents to ensure their child is provided the individualized education they deserve.” She enjoys reading, riding the Harley with her husband, entertaining friends. She is a huge fan of the Dallas Cowboys and Dallas Stars!